Genuine leather Diary with daily or weekly sections, inner pocket for documents, card slots, black ink pen and button fastening. 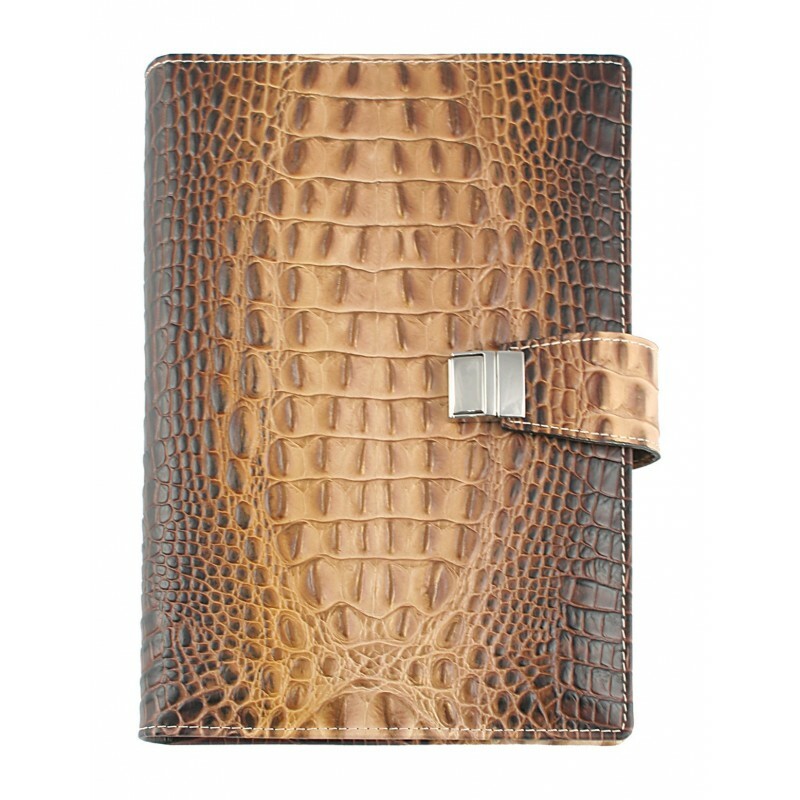 Available in different colours and two size: cm 15x21 or 17x24. 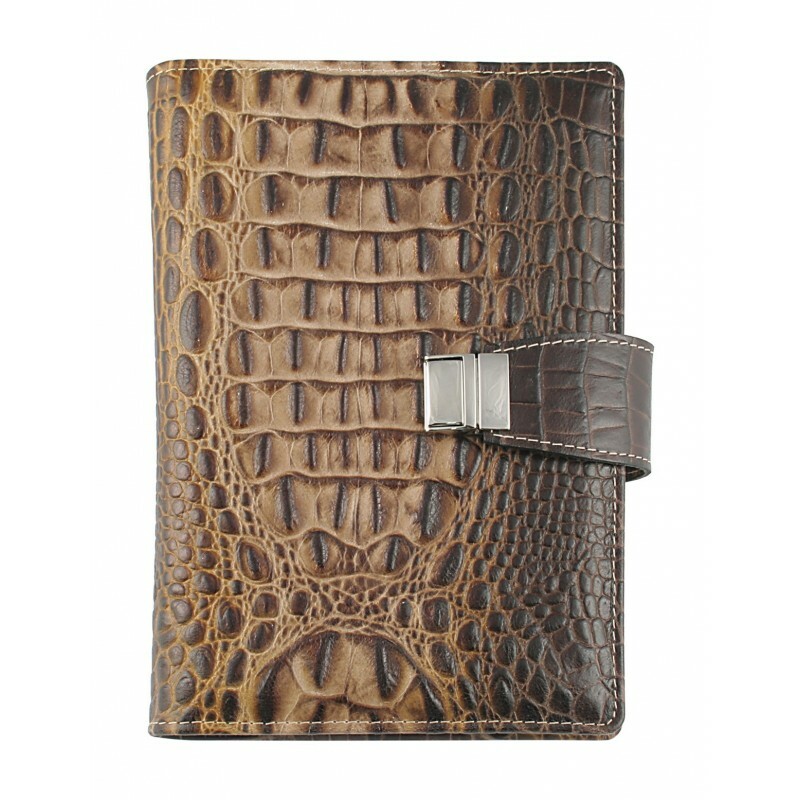 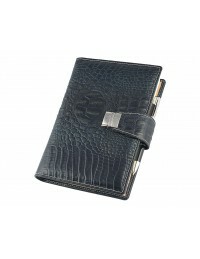 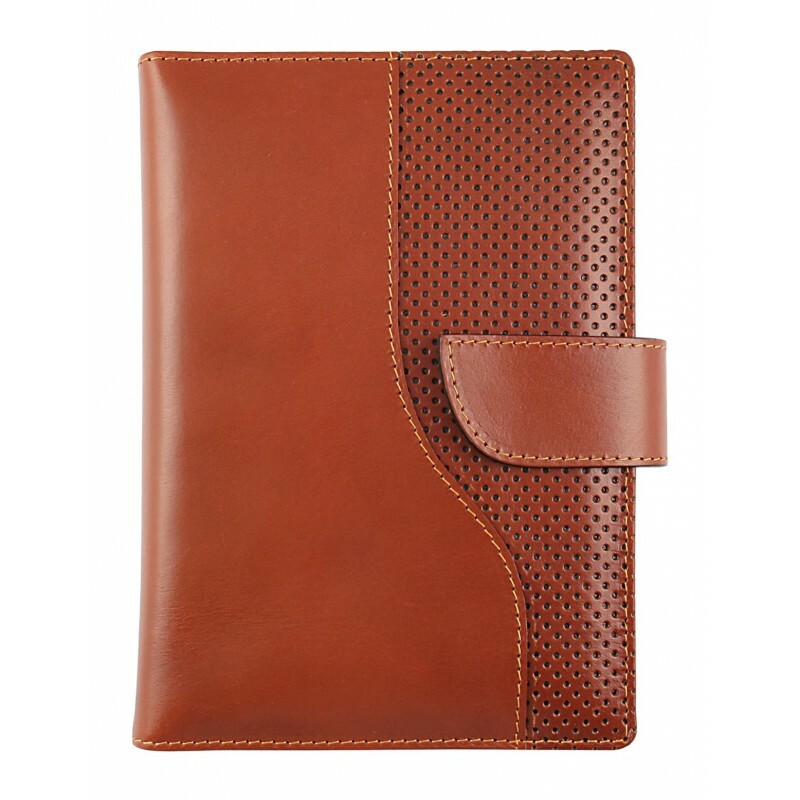 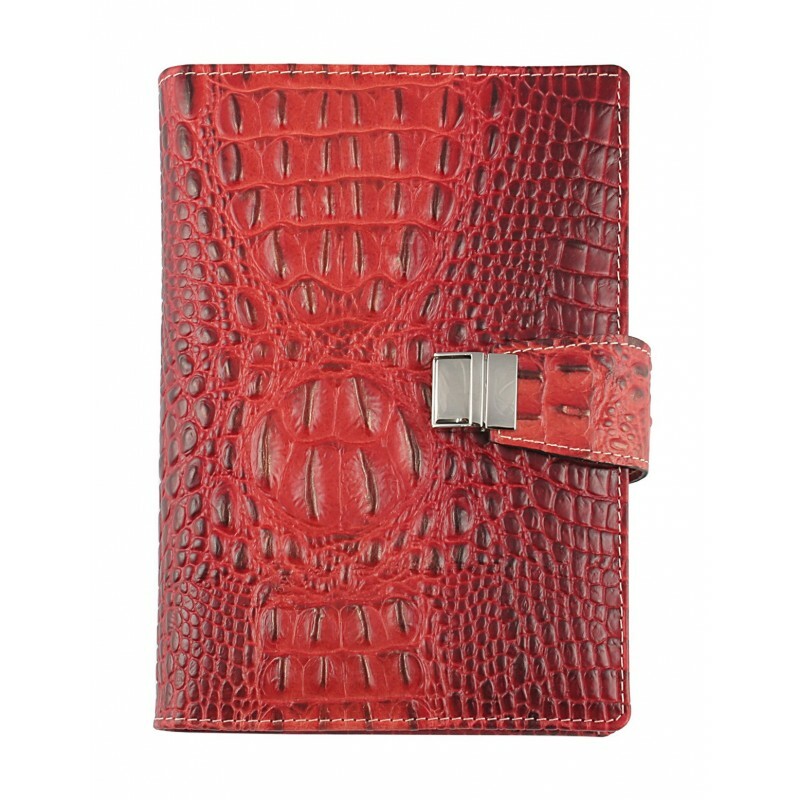 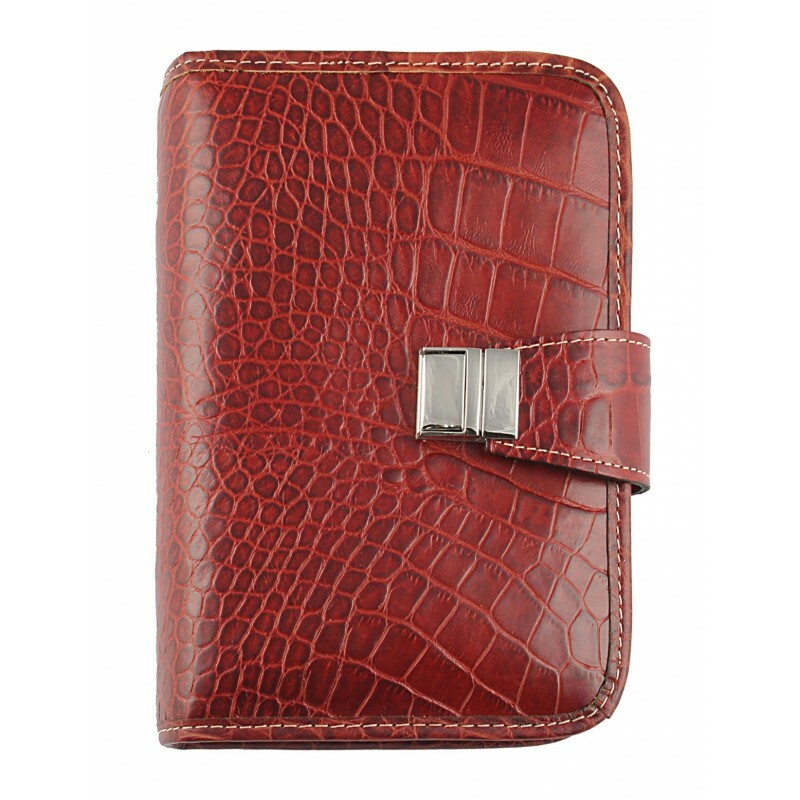 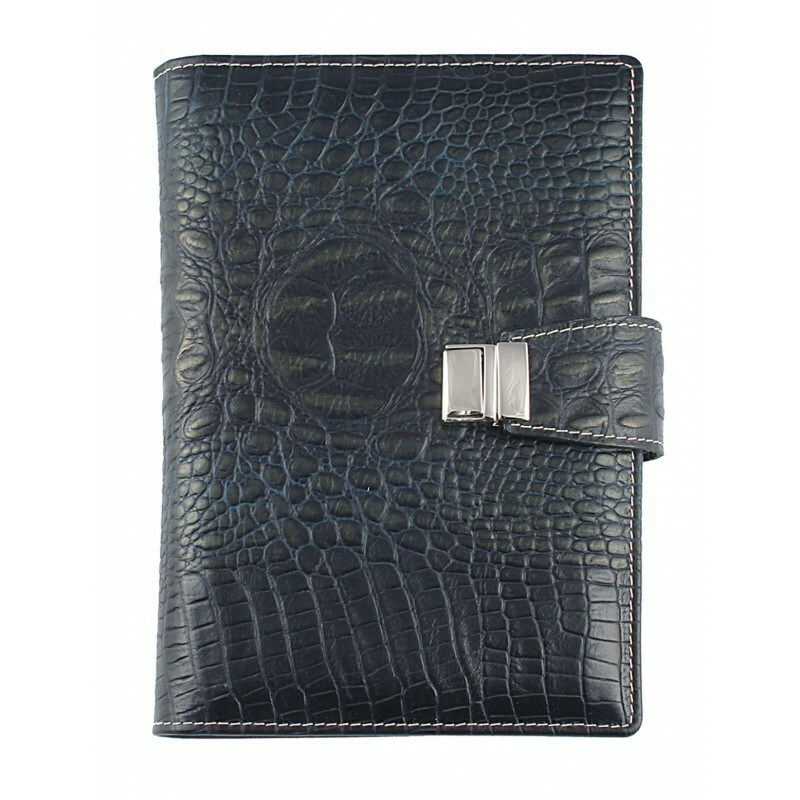 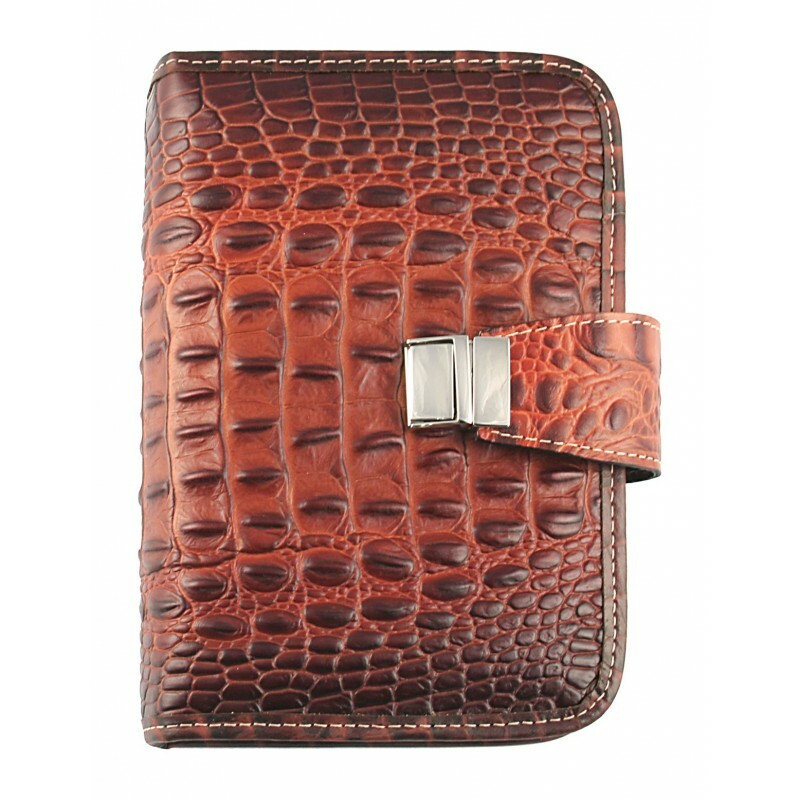 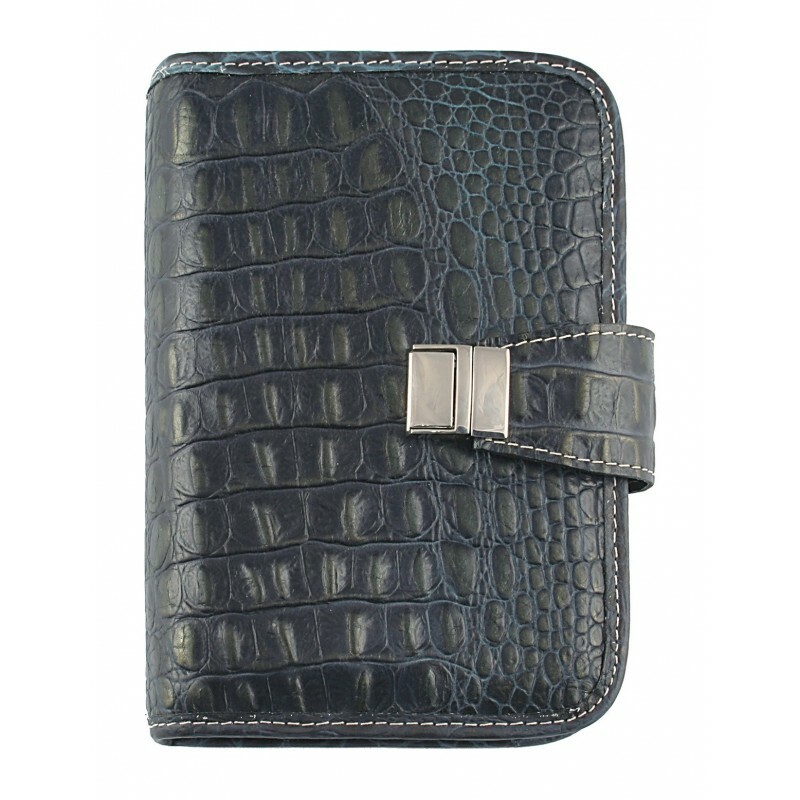 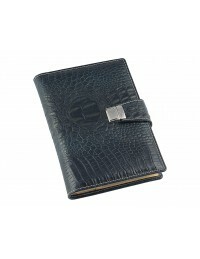 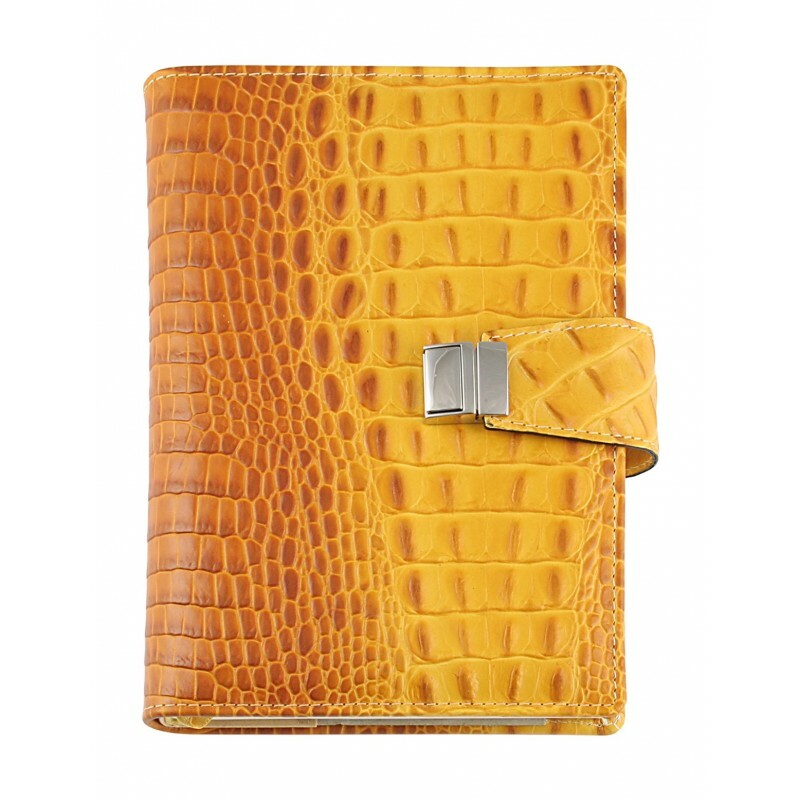 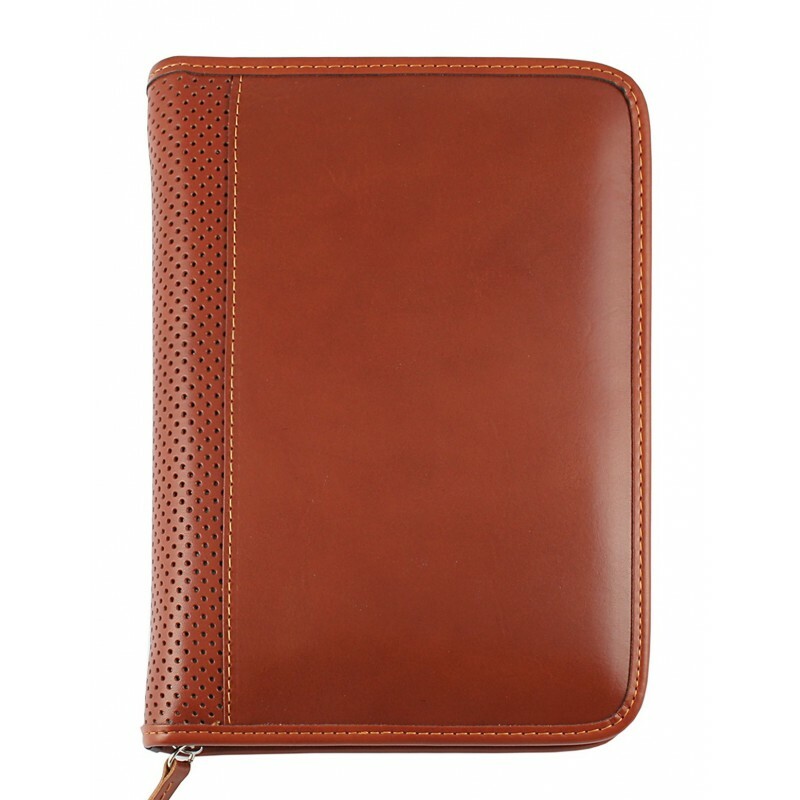 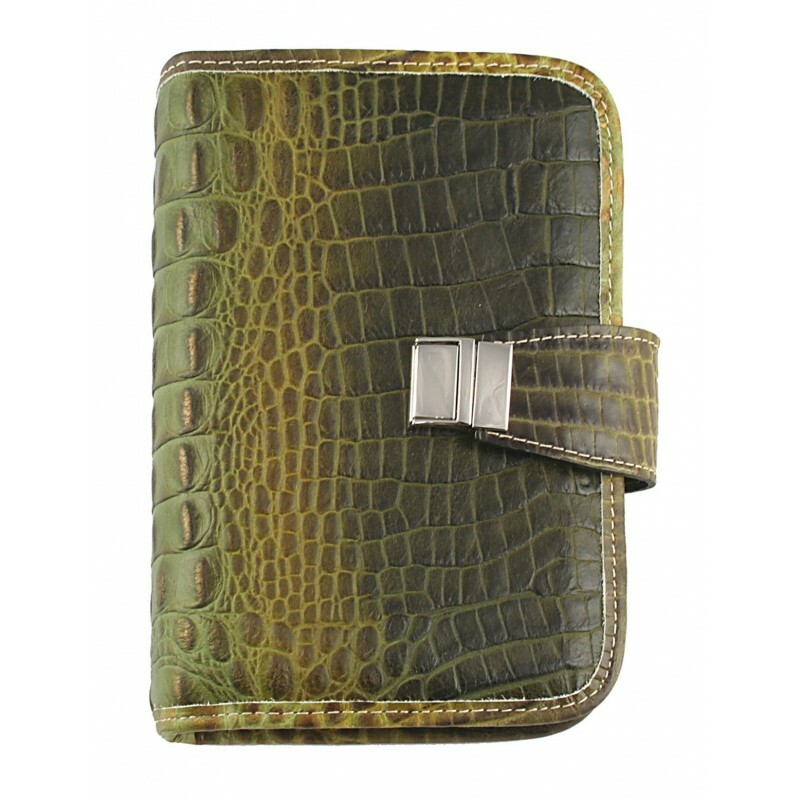 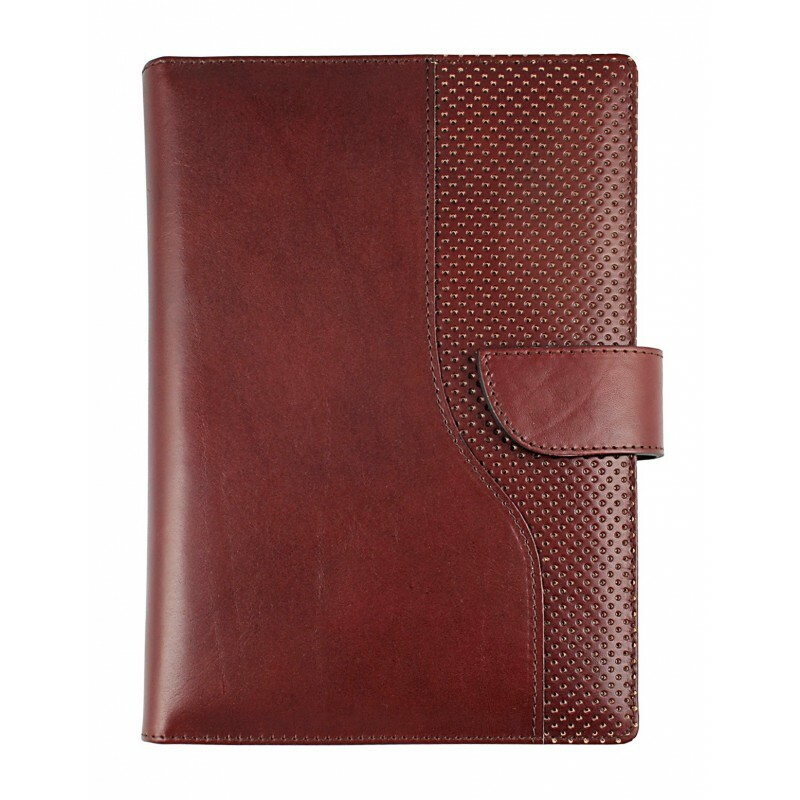 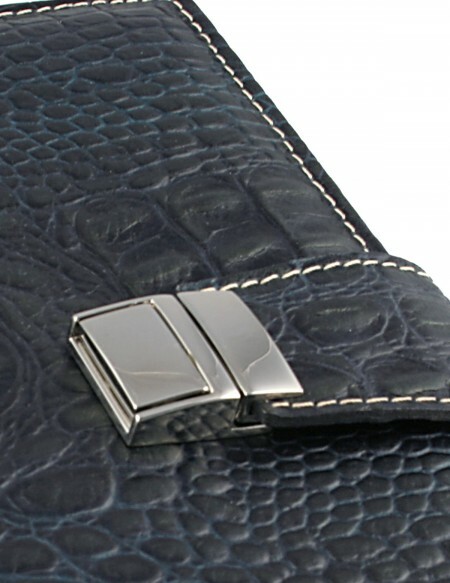 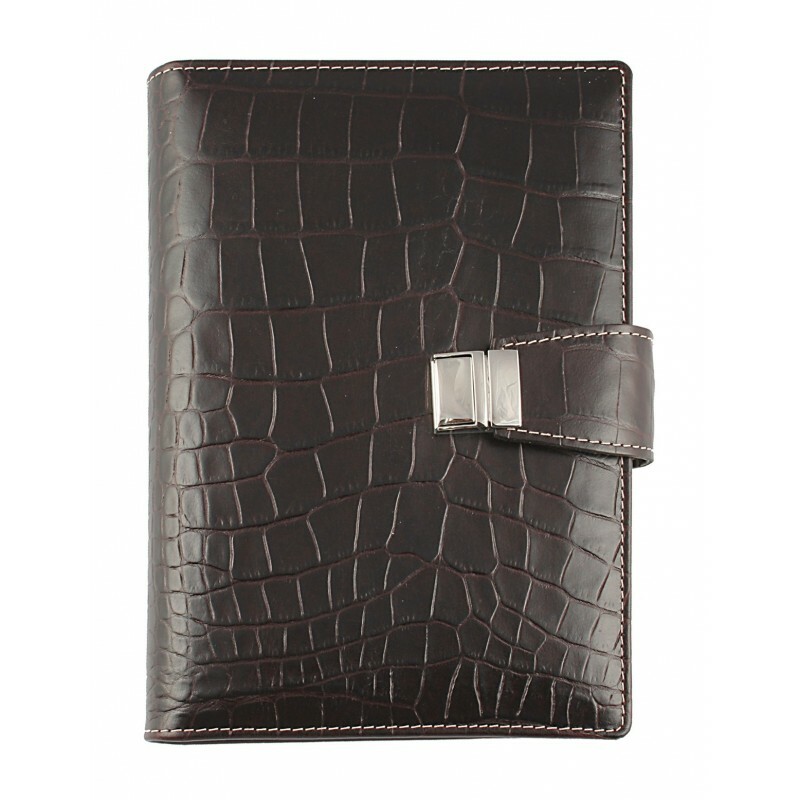 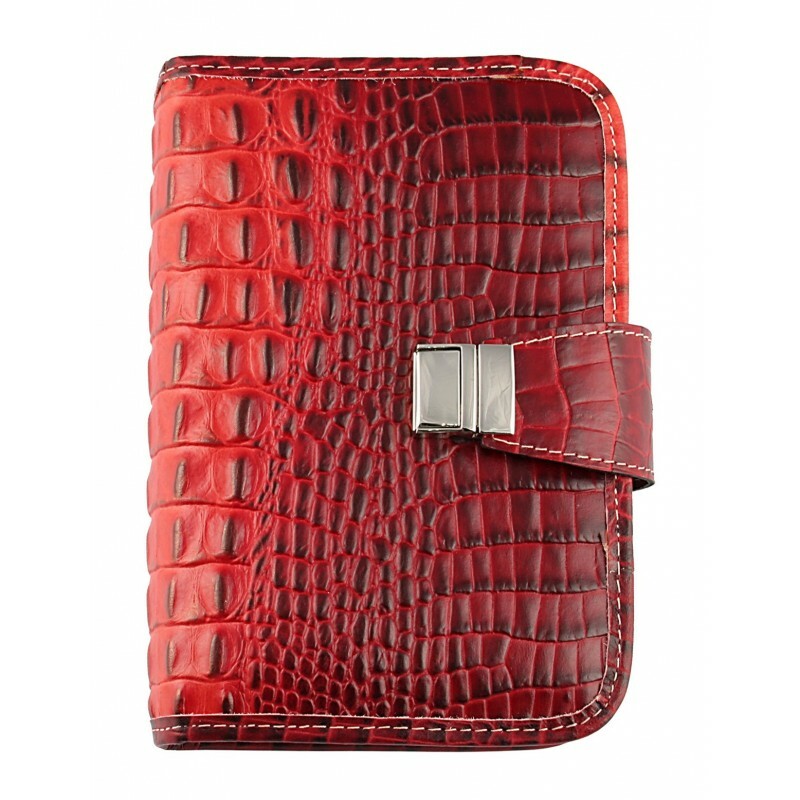 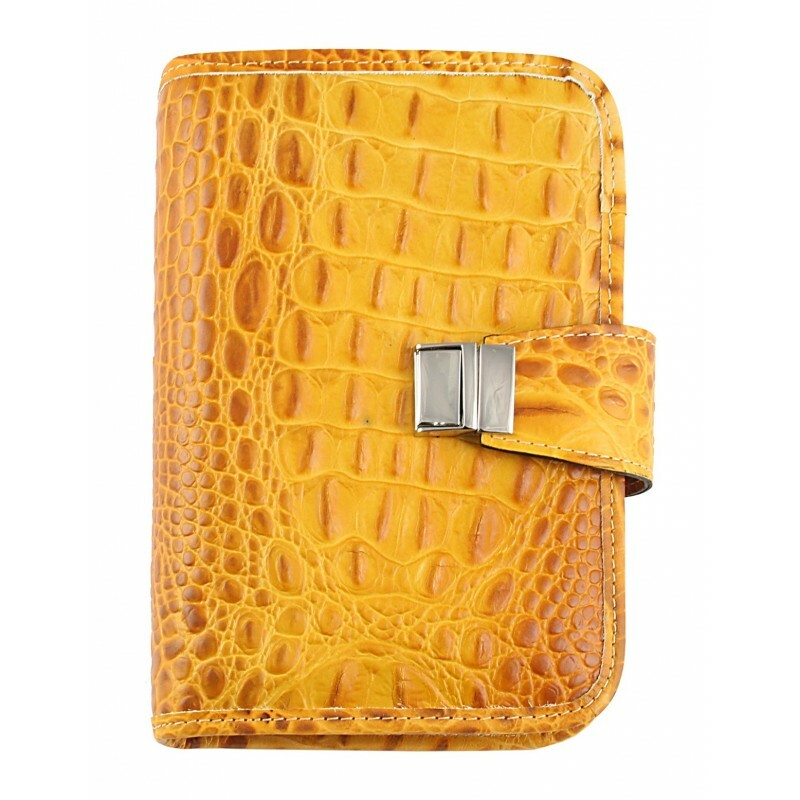 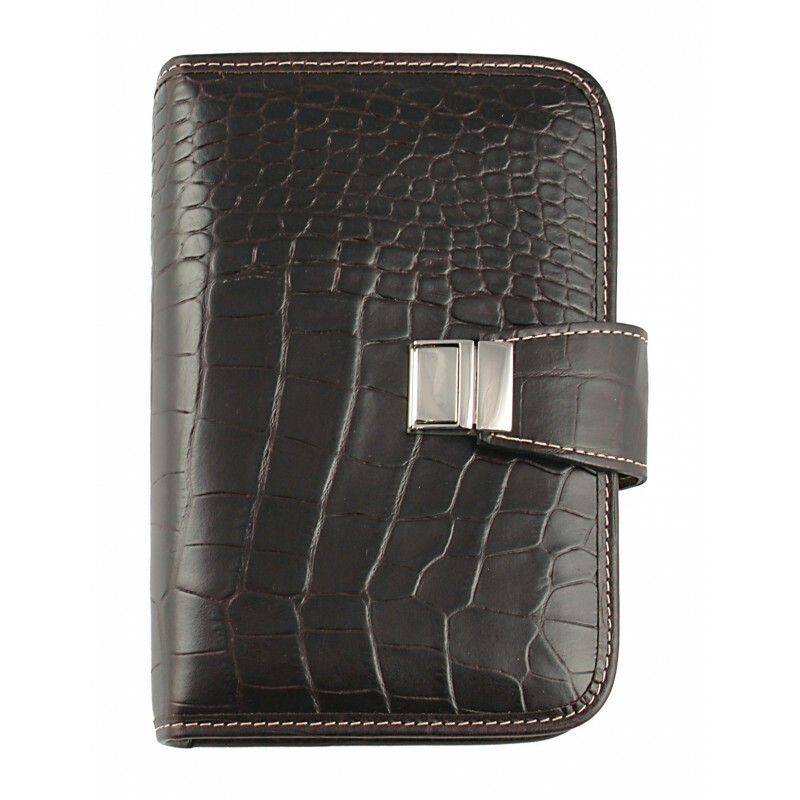 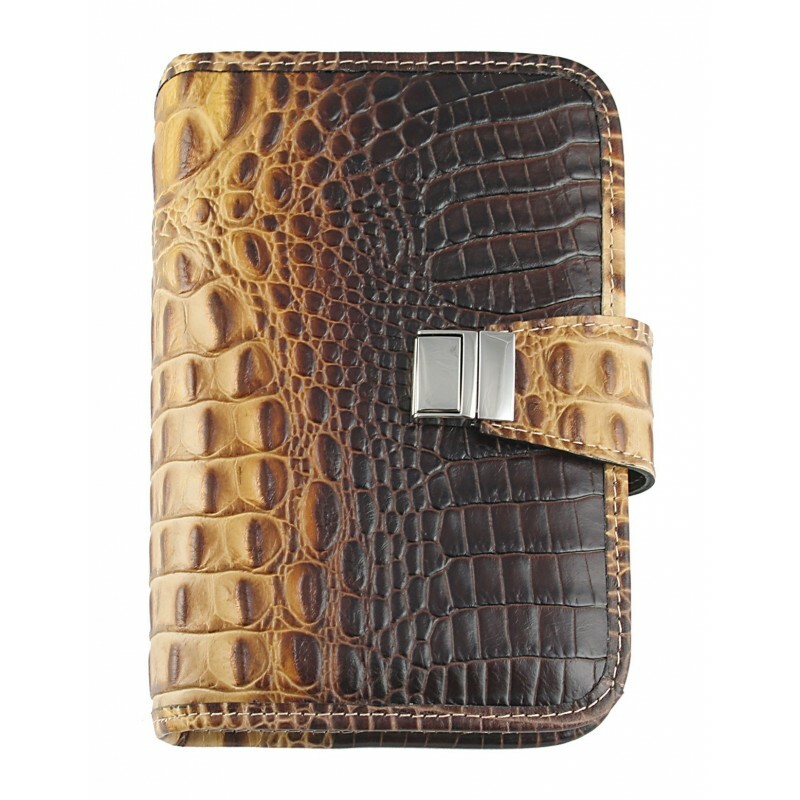 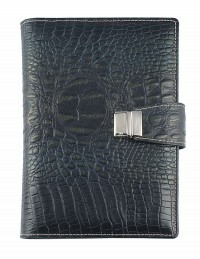 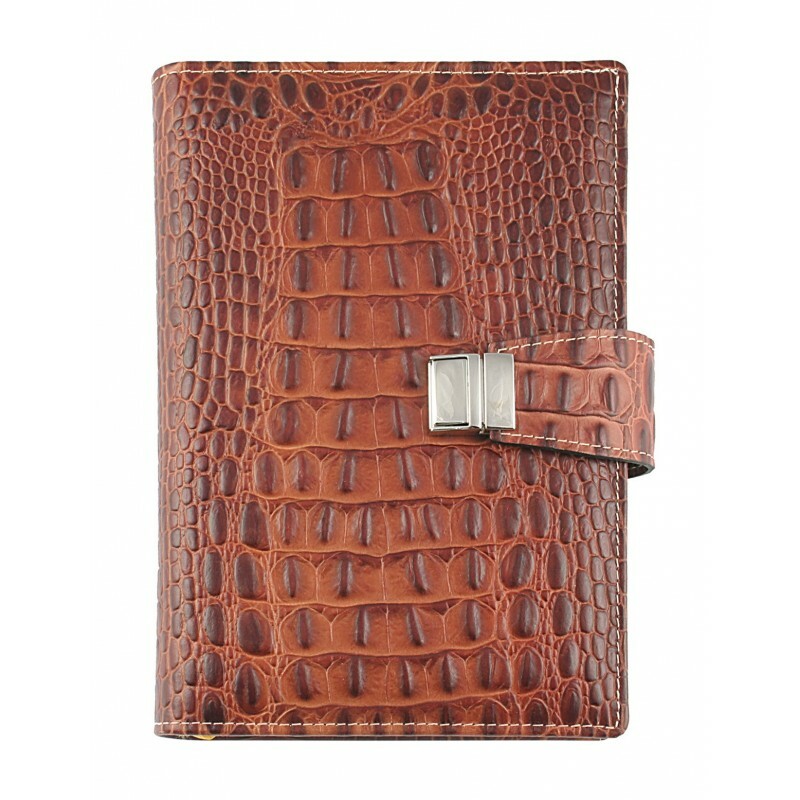 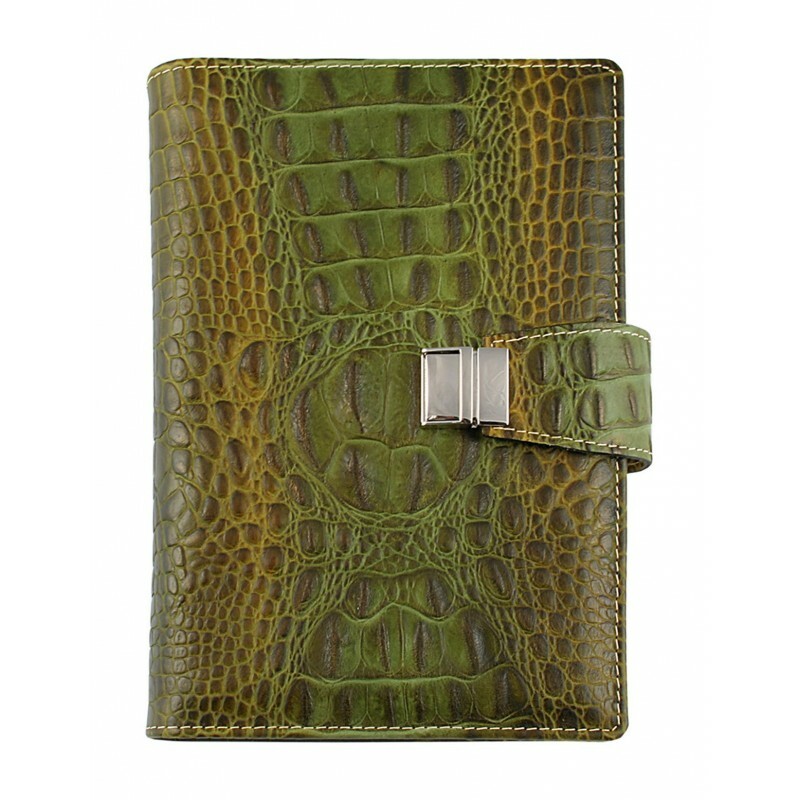 This Crocodile Genuine leather diary is the perfect accessory for those who want to write down their engagements and appointments with professionality and elegance. 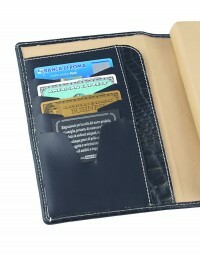 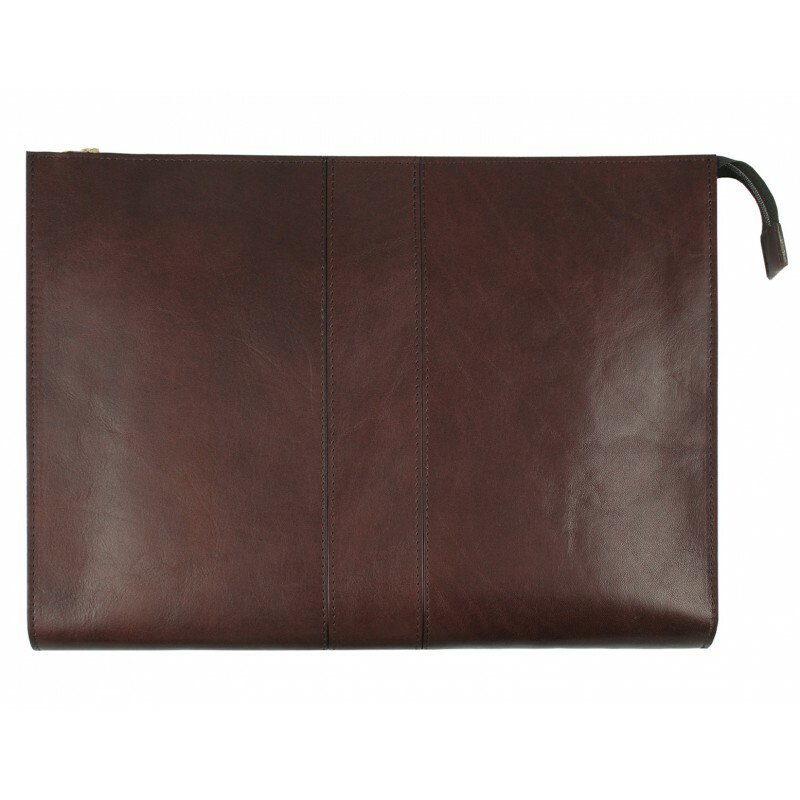 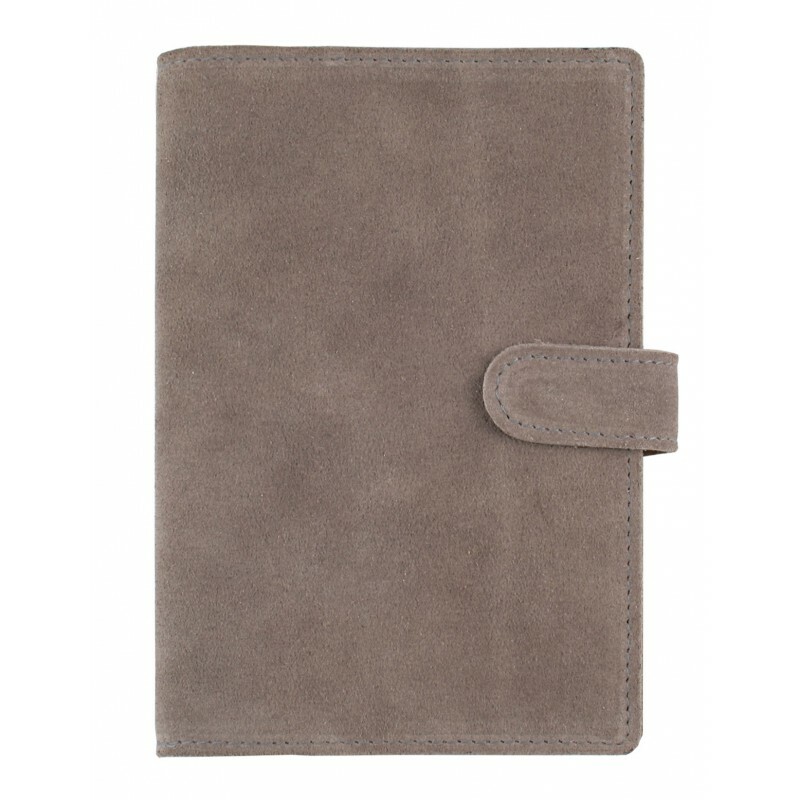 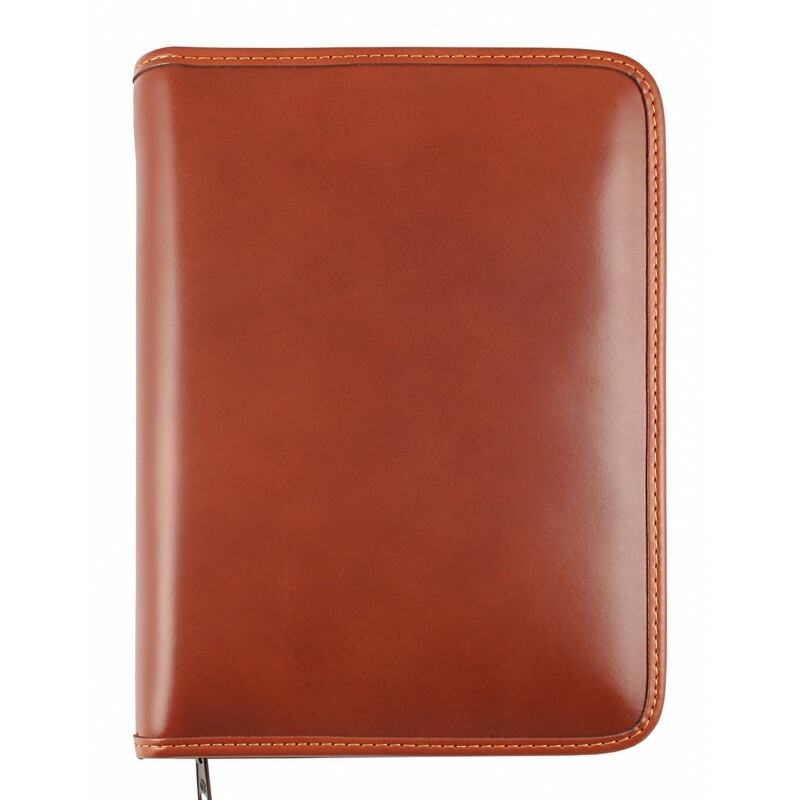 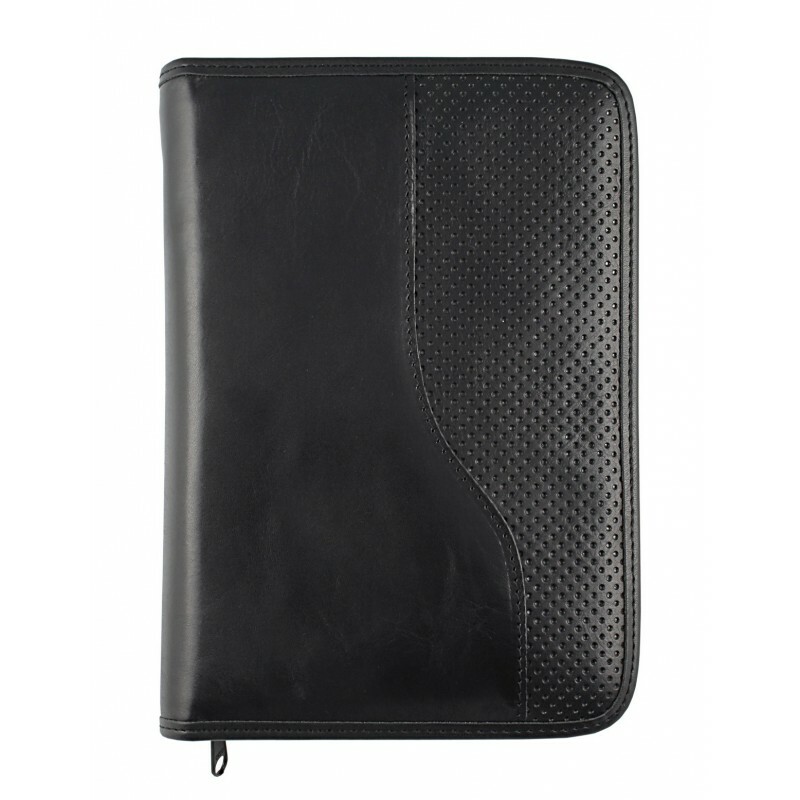 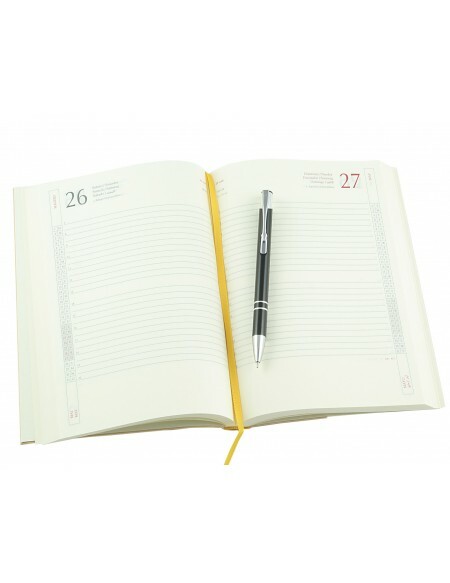 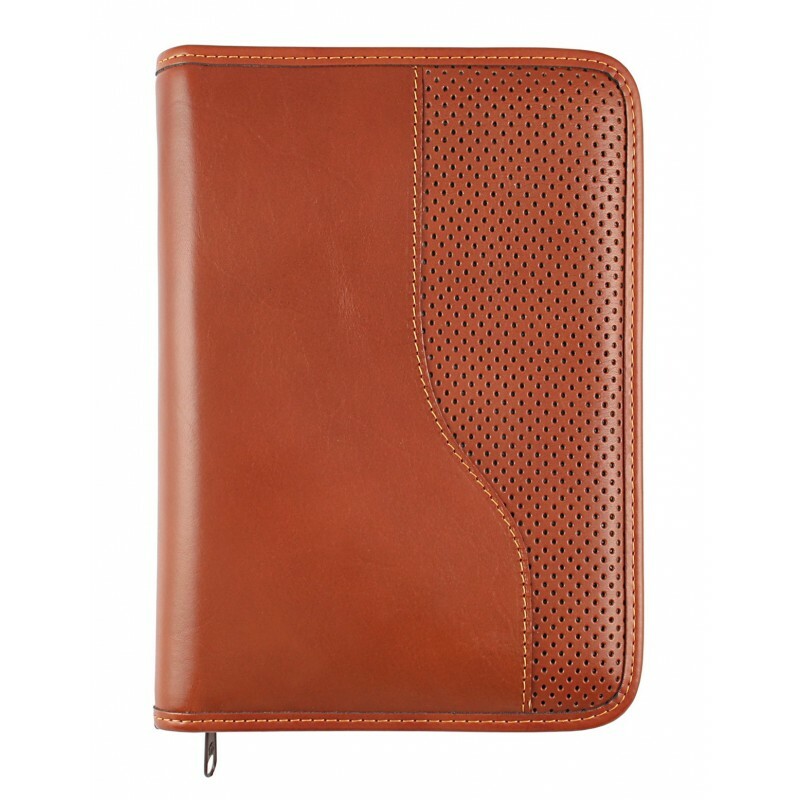 Features: inside pocket for documents, card slots, button fastening, black ink pen.